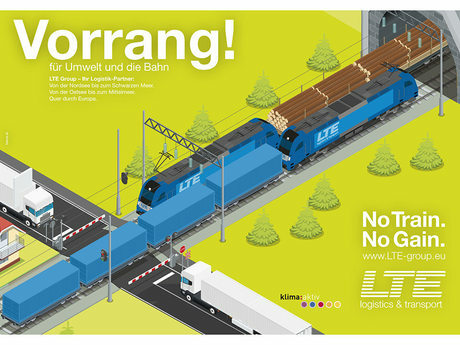 LTE-group transports your goods with a benefit for our environment. Priority to Environment means at the same time Priority to rail transports. In Austria by hydroelectric power.